In the latest ancient beer news (I, know, would we just give it up now) – at the weekend we bottled our ale for Féile Grianán Áiligh and samples for Inishfood 2013. Féile Grianán is held at Grianan hillfort, Co. Donegal, one of Ireland’s most spectacular hillforts and the most identifiable structure on the landscape in the entire north west region. This Friday there’ll be a Summer Solstice Dawn Chorus, and at 9.30pm Irish landscape spectacle company LUXe will ‘keep the darkness at bay from dusk to dawn’, with an installation of fire and light sculpture ‘weaving a musical pilgrimage’ for all the family and ‘awakening the legendary horsemen that sleep beneath Grianan’. We’ll be demonstrating brewing in our porto-fulacht on the Saturday – see the festival website (link above) for more detail on the Craft Village and how to get tickets. We’ll be serving up a few samples of our latest batch at the Feast. Unfortunately, because of the terrible winter and the late blossoming of everything we couldn’t get meadowsweet or heather for this brew (although our bottle conditioned year old ale has heather) so we were forced to add some hops just to get some flavour. 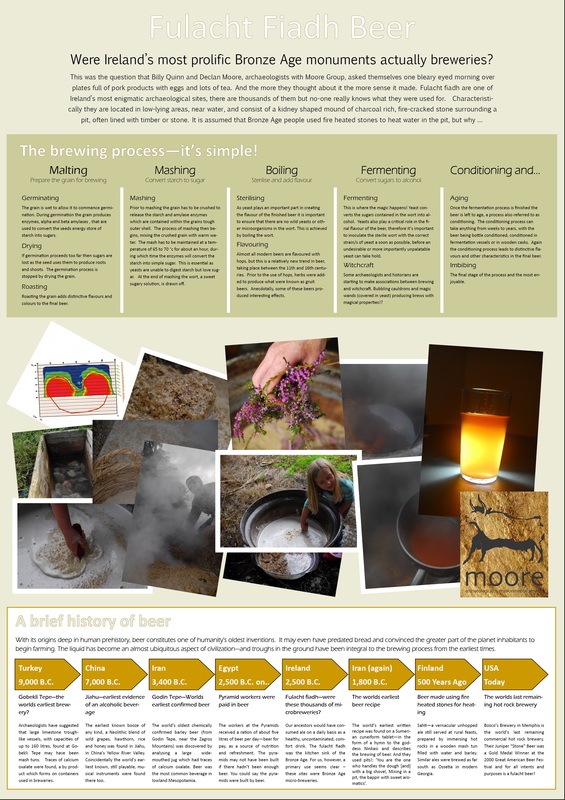 More importantly the brewing process is based on our fulacht hot rock ale theory – the hot rocks are added towards the end of the mash and char the barley adding a subtle caramelisation to the beer.. And it’s our theory that this is how beer was prepared in the Bronze Age – for more info see the infographic at the top of the post. Everyone seemed to like it. We are actually getting better at brewing and our beer is starting to taste very drinkable (in fact it’s very drinkable, if I say so myself) as we improve the recipe and play around with ingredients. There is more information on all the events at www.feilegriananailigh.com and on Twitter by following @Feile_Grianan and @inishfood. To book these events go to calling Harrys Restaurant on (07493) 68544 to book.Tickets for the event, which starts at 8.30pm, are €45. Tickets are available for the family fun day on the 22nd June, which starts at 1pm. These are priced at €5 adults or €15 family tickets. 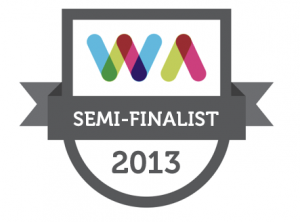 This entry was posted on Tuesday, June 18th, 2013 at 7:36 pm. It is filed under About the Beer, News and tagged with ancient beer, archaeological consultants, brewing, bronze age beer, fulacht fiadh beer, grianan, Inishfood. You can follow any responses to this entry through the RSS 2.0 feed.